! This is NOT a method of direct communication with Twisted Vine Floral for purposes of ordering or rectifying problems. Beautiful flowers and excellent customer service. Great ordering experience. Loved that could do it online and flower arrangement was beautiful. Ordering on-line was very easy. When we arrived in MN for Bailey's memorial service we were absolutely delighted with the bouquet. And best of all, Bailey's children said they loved the bouquet! Thank you!! Wonderful experience! Folwers on time and beautiful, wonderful people when I was in need of help. Beautiful flowers, excellent delivery, easy to order and great customer service! Not too spendy like other floral delivery services! She loved the flowers - beautiful arrangement and scent. Words can not express how wonderful the people are at Twisted Vine. We could not make my Aunt's Services, not only did they take our order, they sent us pictures of our flowers and of the casket piece. Truly made it better for my folks who were not able to make the trip. I would recommend them to anyone who would listen!!! 5 stars isn't enough! Thank you so much for your review! I'm glad you were pleased! I strive to go above & beyond to satisfy my customer with every order. Thanks a bunch!! Our special request was honored, the flowers were delivered on time, and the bouquet was lovely. Very easy on line ordering and my aunt was so happy with the bouquet that was delivered. Thank You! I'm so glad she was pleased! Thanks so much for your order & have a Very Merry Christmas! The flowers I ordered looked just like the picture, and I couldn't be happier. Flowers were fresh and healthy and lasted quite a while . 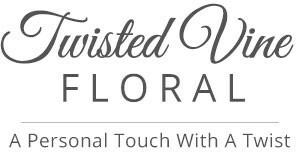 I'll be ordering from tw I twisted vine floral! You did such a great job the arrangement was beautiful!